Long exposure is also hard to shoot as you need guider setup. Also at my place there is a lot of wind, so this is a hard thing to do. Best is to estimate the limited exposure of the sky background and do a stack with that exposure. To estimate it look at the histogram the peak should be 1/3 away from the left. 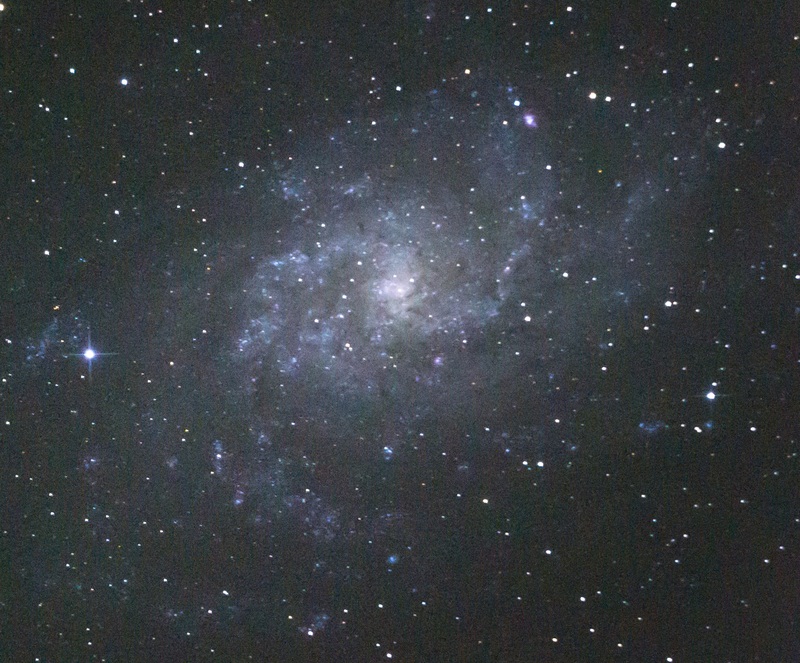 Below is a comparison of Galaxy M33 between long shot – 80 seconds at ISO 51200 and stack of 20 frames by 30 sec. at ISO 12800. 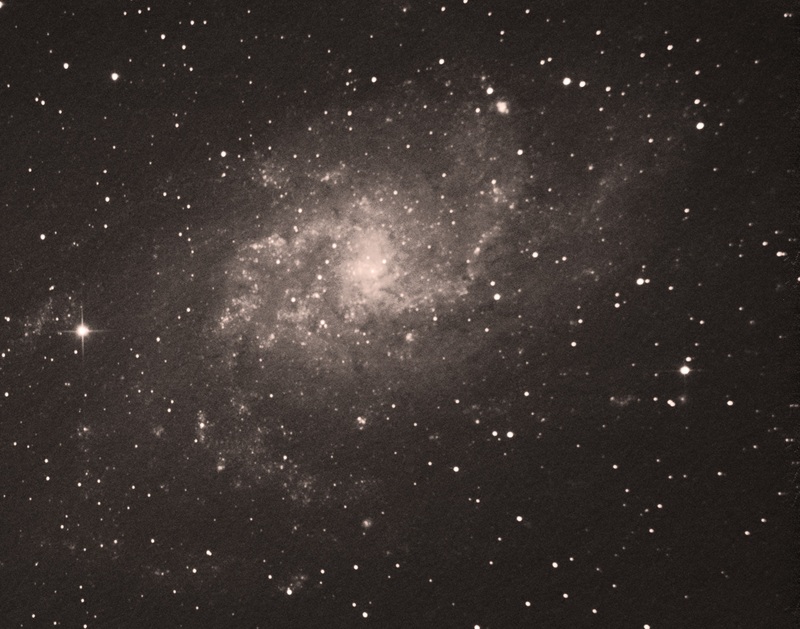 The single frame is easier to process but stacked frame give us more signal to noise ratio. We can always add more and more signal by taking extra frames. You can use higher ISO and reduce the noise that way.